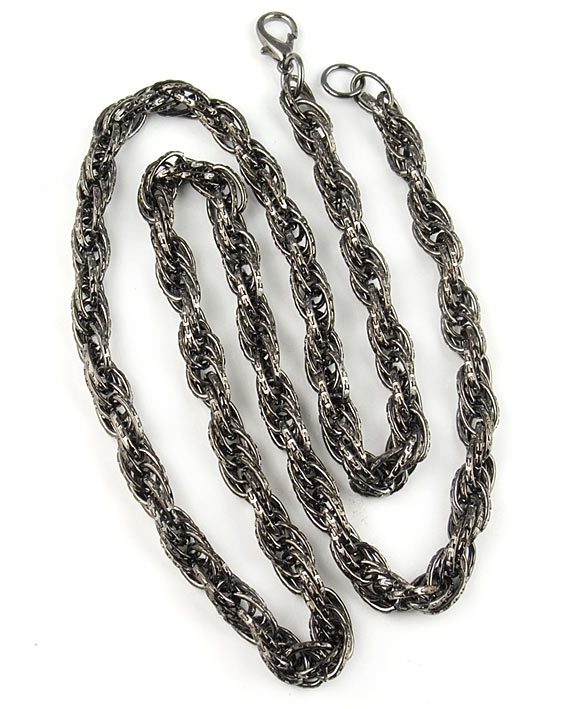 Gunmetal brass chain necklace by London jewellery designer, Amor Fati. This fabulous designer necklace features a stylish chunky brass chain that can be worn doubled for a bold look or as a single strand. Necklace measures 105cm (41.4") and fastens with a lobster clasp. Available exclusively from Farfallina, this unique necklace is easy to wear all day and would also make a fabulous gift.